Thread: Whats Everyones Favorite Pipe Brand? Hey guys I think it would make for a good discussion to talk about our favorite brands and why! Despite me having the smallest pipe collection amongst PSU members I'll go first before the 'big boys' contribute. For me it has to be the Falcon. They smoke great, are easily maintained and you can knock them about a fair bit. My current favourite is a Black anodised straight with Dublin bowl. Last edited by Scottishgaucho; 08-24-2018 at 11:47. Peterson, Kaywoodie, Missouri Meerschaum.... welcome aboard. "what ever turns you on Cup Cake…." You mean right now? It's BBB, the old English brand and the one that I'm currently sipping on is the only one that I have so far. It smokes like a dream and, as often said here, it almost smokes by itself it's that smooth to smoke. Eventually, I'll get another BBB for the collection. Peterson's, Stanwell's. Rattray's. don't worry about the size of your erection oops Glaswegian again it I meant collection it will grow.I think we all started out with one pipe. 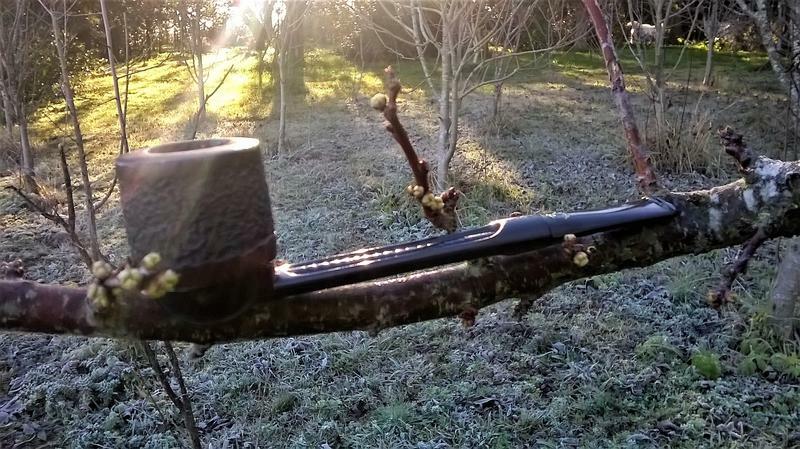 Never disappointed with Peterson,.. but like Crawford I like a lot Falcons,.. some time I think the best pipe for me it's the one I do not have....??!! Since joining PSU my collection of 'real' pipes has increased by two.....the City de Luxe and the Gordon which I'm delighted to have. Trouble is, they're so old and nicely crafted I'm terrified of smoking them in case I spoil them so tend to reach for the workhorse Falcon instead. It's kind of put me off buying old pipes. Individual pipes from many brands are my best smokers. OK, I've been smoking a long time (56 years!) and have had the chance to build up a collection of some good names - particularly Ashton, Askwith, Charatan, Dunhill, Peterson, and Upshall - but not all pipes of a single brand are the same. (NB: he is not saying that all pipes are the same or that quality doesn't matter). Last edited by jimbo44; 08-24-2018 at 15:46. I most often grab my Peterson's and my English pipes. But I find nothing wrong with many other brands or makers. I have a fondness for the threaded tenon Grabow pots with vulcanite stems. They are great smokers and can be taken apart hot if they need a pipe cleaner halfway into bowl four.